Our young anglers from Riu Guanacaste book the Tuna Fish for half day fishing to the Gulf of Papagayo, We pick them up around 7:30 a.m at Matapalo beach in front of the Riu Guanacaste. 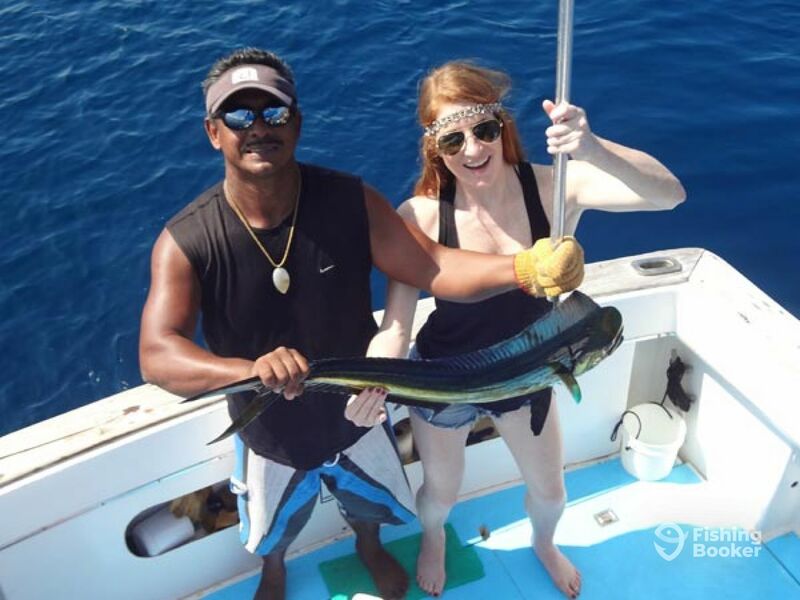 Captain Nelson start serves lines and trolling looking for mahi mahi. Anglers start getting fun on board share together while the first fish bite bait. 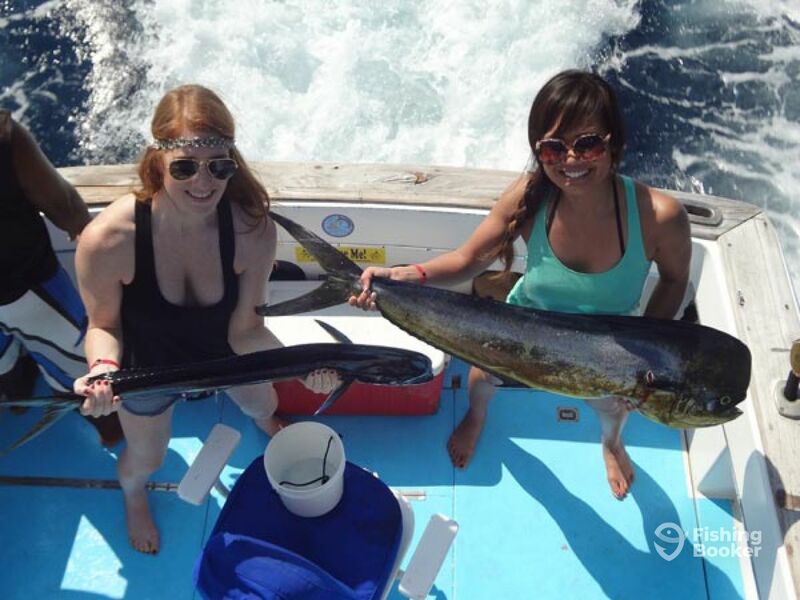 Around 9:30 a.m action began with a nice mahi mahi, after the first we had 4 more around 25 – 35 lbs each. Each of our clients had a fish on their hands. At the end of the day our mate clean & fillet the fish for our clients. 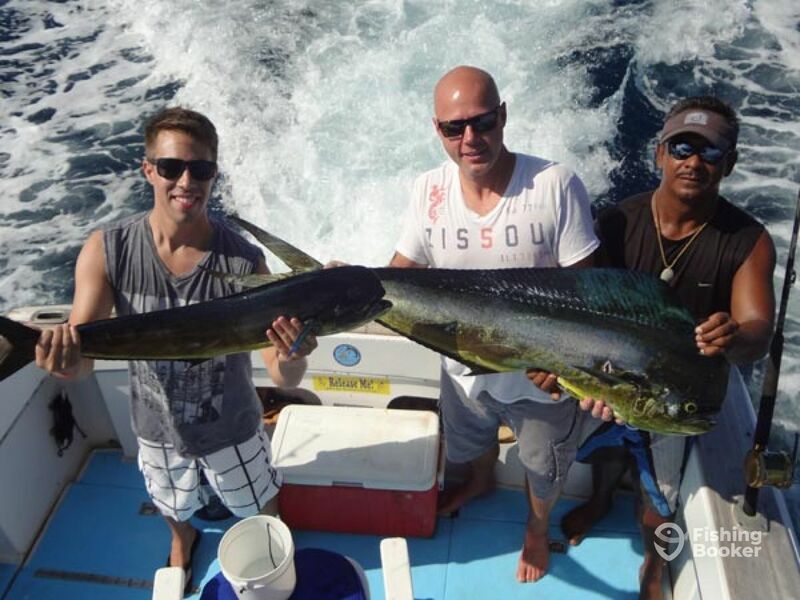 This fishing charter from Riu Guanacaste was awesome, weather conditions were amazing, sunny, slow winds and hot. Perfect for your next Costa Rica fishing. Let us be part of your vacations in Costa Rica! !